Microsoft tools are now reaching much further across the business landscape to address a wide range of business requirements, and new tools, features, and combinations are being rolled out at an increasingly rapid rate. This continuous release of new productivity tools is great for businesses because it empowers them to achieve more with the resources and assets they already have and have paid for. In addition, the majority of these tools and features are add-ins to, or improvements on, existing Office 365 services, giving organisations increasing value for money as time goes on. Keeping an eye on Microsoft’s emerging tool landscape however is a full-time job, and making fully informed decisions about which tools to deploy and when is becoming more and more of a challenge. Productivity tools that aren’t deployed with careful consideration won’t add value to your business, and may even place a greater burden on your support staff from confused users asking questions like “Which tool should I be using for x?” “Should I be sharing this in Teams or SharePoint?” “Where should I save this file?”. Deploying new features and tools to your organisation without appropriate planning and support also puts you at risk of creating change fatigue: If your users come to associate change with confusion and increased workload, they may soon come to dread their release and be more likely to turn to shadow IT. To prevent this, for each tool that is released, businesses need to consider a multitude of factors: the business impact of that tool, the value it can deliver, how it will integrate with/support existing tools and working practices, usage governance, security management, the training required to support its use, and how it fits in to your bigger picture roadmap for process improvement. Doing this on a weekly or monthly basis is both time consuming and highly impractical. Many businesses are struggling to evaluate the vast number of tools available, and most commonly with the decision around when to use Microsoft Teams vs. SharePoint Team Sites vs. Office 365 Groups vs. OneDrive for Business vs. a SharePoint Intranet. That’s why we’re launching our “Right Tool, Right Time, Right Order” series: To help organisations understand each of these tools, what they are best for, and how to deploy them effectively to create a stable and extensible business productivity platform. Follow our Linkedin Company Page for series updates, or contact us today to discuss your requirements in person. 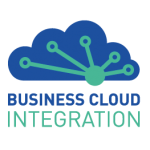 The Business Cloud Integration team offer guidance and support for the entire lifecycle of your SharePoint deployment, from initial guidance and Office 365 roadmap planning through to SharePoint design, build, development, and training.